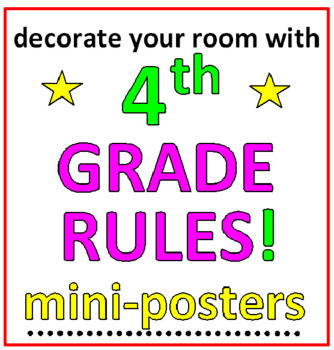 * Decorate your room with this “4th GRADE RULES” set of colorful mini Posters! * A Positive message with a great theme! They’ll love looking at it! * COLORFUL AND READY TO HANG! Laminate these once and use them for years! 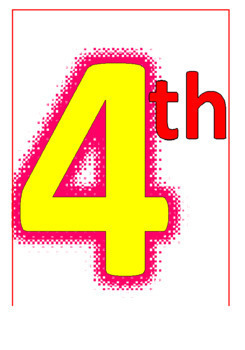 * Leave this up all year to create an uplifting atmosphere for your 4th graders! Copyright© 2018 David Filipek All rights reserved by the author. Permission for downloads to copy for single classroom use only. Electronic distribution limited to single classroom use only. Not for public display.